A personal message from Vašák Martin MUDr. - OPAVA MEDICA s.r.o. Rate and review Vašák Martin MUDr. 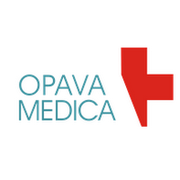 - OPAVA MEDICA s.r.o. in Opava, Czech Republic! Share your experiences at Vašák Martin MUDr. - OPAVA MEDICA s.r.o. with your friends or discover more Ear Nose and Throat in Opava, Czech Republic. Kaczak T. Aparaty słuchowe sp.j.